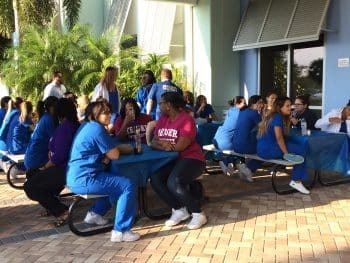 You could smell the sizzlin’ hot goodness wafting through the air from the hot griddle at the Pembroke Pines campus for Student Appreciation manned by Campus President Mr. Kidd, Academic Dean Luciana Soares, and Associate Director of Student Services, Erika Rodriguez. 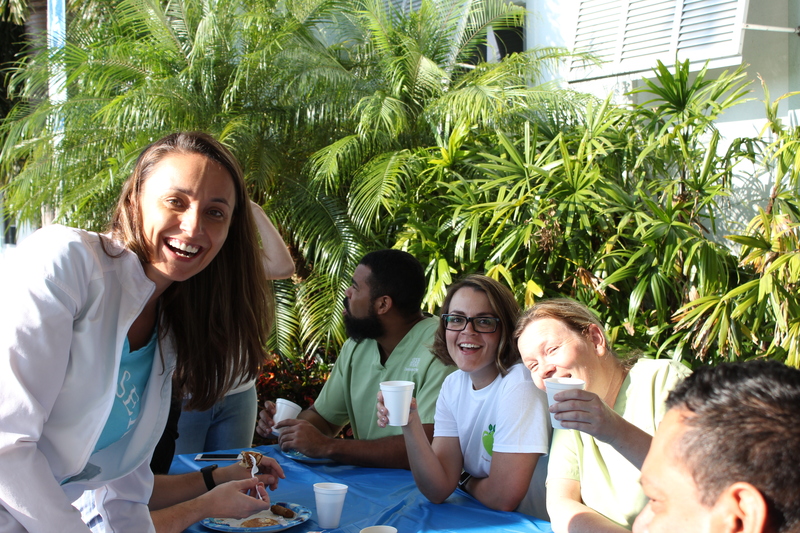 Faculty and staff served the morning students pancakes, sausages, veggie sausages, coffee, and OJ while evening students were served burgers, veggie burgers, chips, and soda. 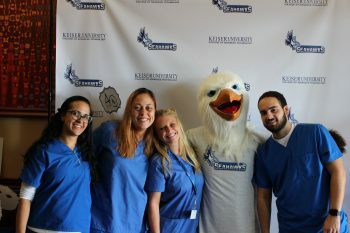 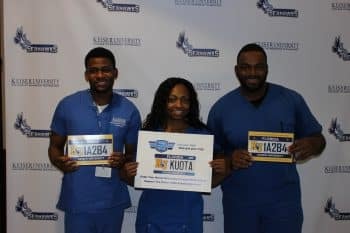 All enjoyed the melodic tunes being played while taking photos with Skylar, learning about the various resources for hurricane assistance, and opportunities to connect with Keiser University – like the KU license plate!